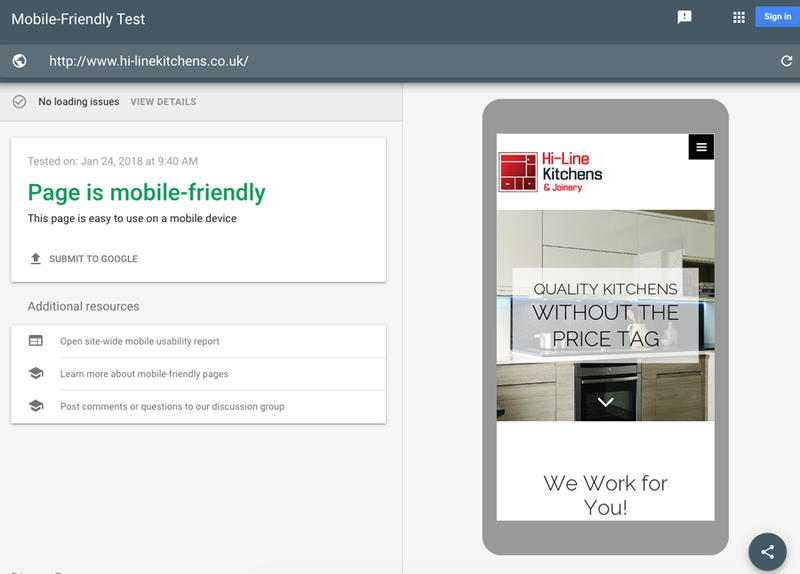 This week's website of the week goes to Hi-Line Kitchens. 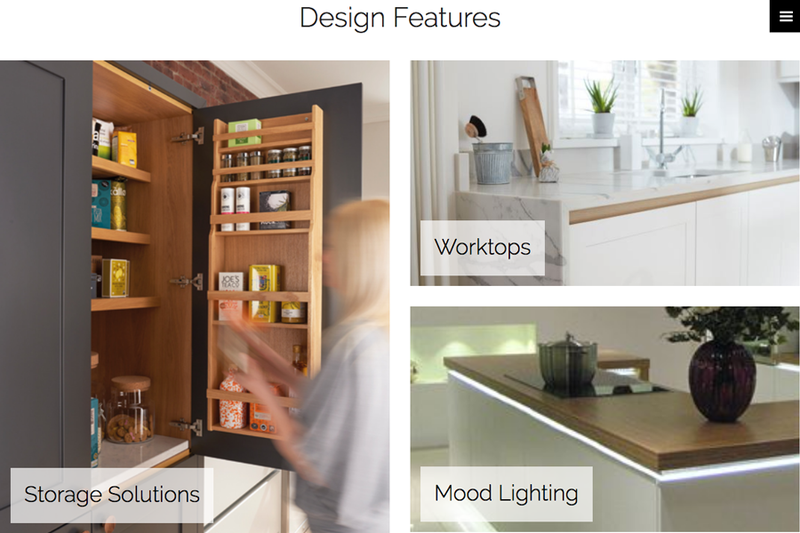 With over 12 years experience, Dumfries based family run business Hi-line Kitchens & Joinery are well placed to design and build you your perfect kitchen or indeed kitchen extension. 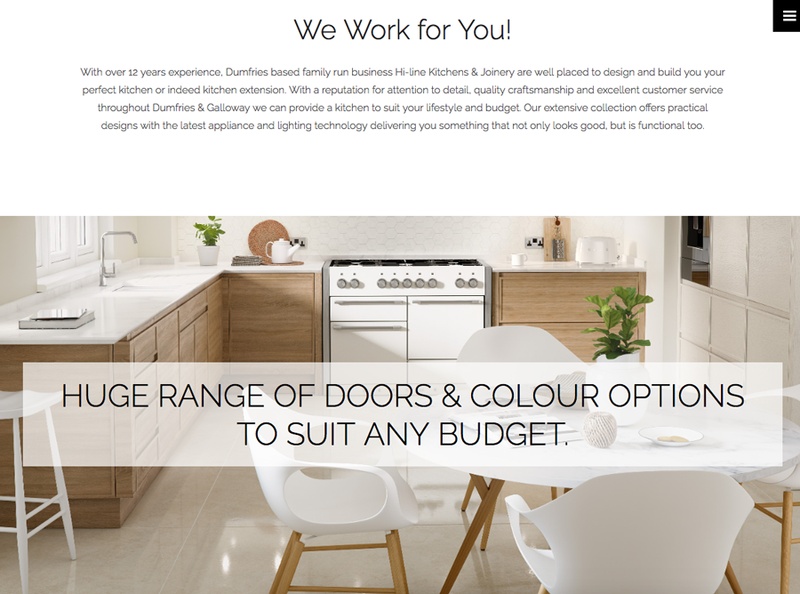 The website features a white design with an accent colour of red (from the logo branding) and light greys. The website has a scroller header, parallax panels, clickable boxes, social media icons and more. 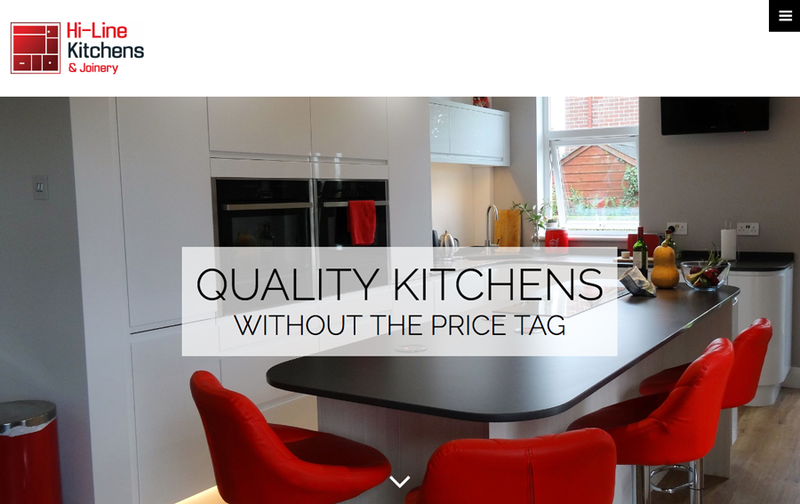 The website features the clients own imagery with images that coincide with the clients branding. The accents of red and orange seen in some of the images brings out the strength of the branding style. Did you know... we don't just specialise in web design... we also provide logo branding services.